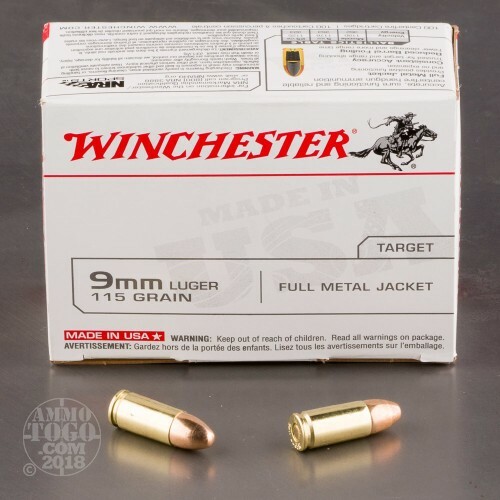 This 9mm ammo is made by one of the most storied companies in the munitions business: Winchester. 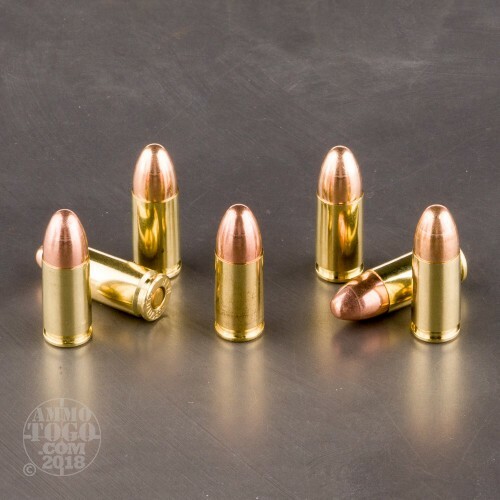 You'll get newly manufactured brass casings loaded with115 grain full metal jacket bullets that are exactly what you need for range training. 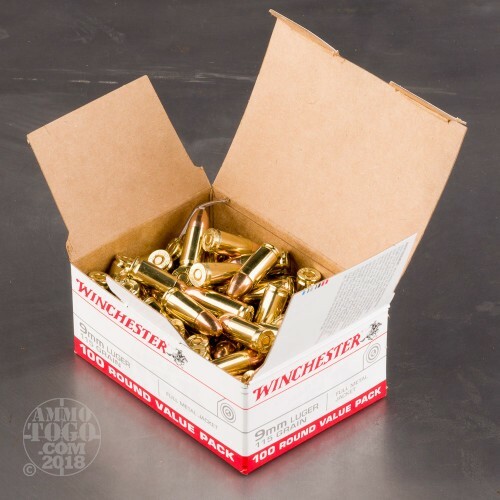 This bulk ammo is brass cased and boxer primed. 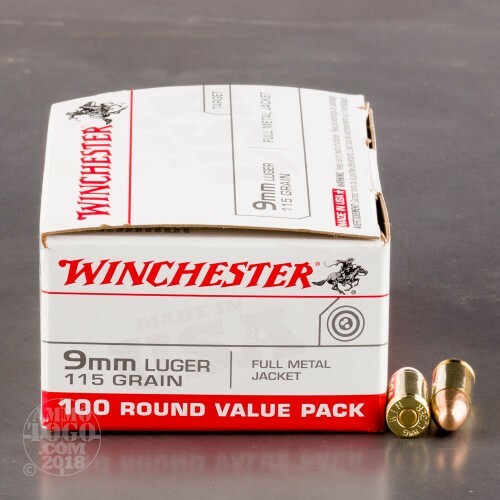 It is clean, reliable ammunition that's been used by generations for target shooting. This ammunition comes packed in 100 round boxes that are perfect for extended range sessions. Haven't shot any of the 1000 Rds yet but shoot this on the range all the time. Know what to expect, excellency at a great price. Thanks, "Ammo To Go". Great price for an accurate practice round. My standard training round since 2005. Best price out there. Fast delivery and discreet. Shot 200 rounds at the range without an issue. Great service, will continue to order. Thanks.